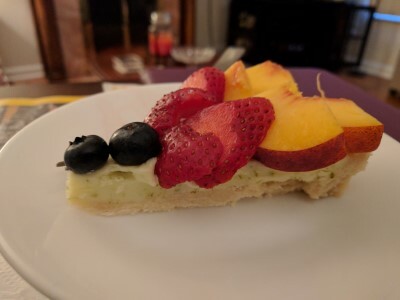 We love fruit tarts but only make them when we have guests to share the tart. Otherwise, it gets too wet and/or spoils before we can eat it all. In the past, our go-to fruit tart was this one. 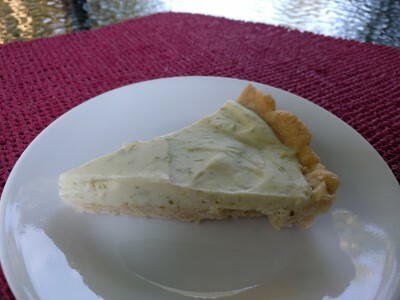 A shortbread crust and a vanilla pastry filling from Joy of Cooking. The most recent issue of Cook's Illustrated had a Modern Fresh Fruit Tart recipe and it sounded yummy. Plus, it uses mascarpone and it just so happened we had a container of mascarpone that my mom gave us (she bought it by mistake, don't ask, she had a huge brain fart that day!). 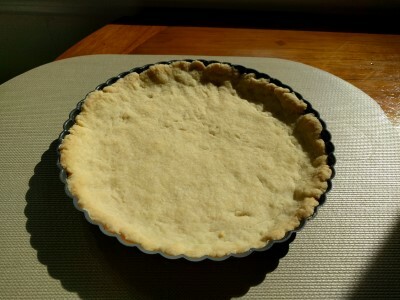 The tart shell is super easy. No rolling pin required, just pat it into the tart pan and bake. It didn't even call for pricking the crust with a fork before baking (but we did anyway). 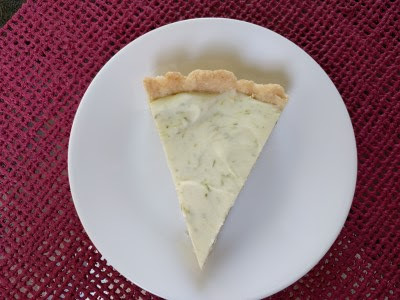 The filling is mascarpone, heavy cream, white chocolate chips, lime zest, & lime juice. I love how it looks, studded with all that lime zest. Plus the filling doesn't ooze all over like pastry cream sometimes does. It's also very tasty. 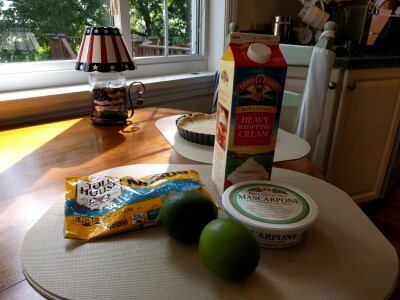 Our guests commented that it made them think of key lime pie. I can see that. The recipe says to let the tart sit at room temperature for an hour before serving, but we forgot/didn't have the time the first night. It was still tasty. 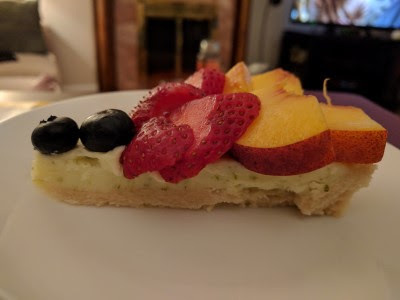 However, we did let it warm up on leftover-tart-for-dessert nights. The filling was much smoother/creamier. We both liked it better after it sat out and warmed up a bit. The official recipe calls for raspberries, blueberries, and blackberries plus peaches. I am of the opinion a fruit tart can have pretty much any fruit on it. We used blueberries, strawberries, and peaches.